Carrying a good hunting backpack during a hunting expedition is undoubtedly one of the most important things a hunter can do to ensure a successful hunt. A good hunting back should not only be comfortable but should also have enough space to securely store such necessities as weapons, water, accessories, clothing, food, etc. 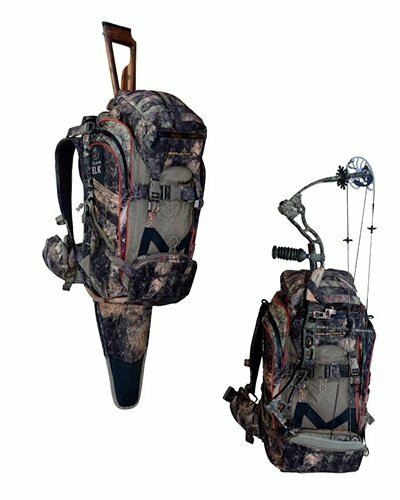 Here we have reviewed the ALPS OutdoorZ 9953110 Extreme Crossfire X Hunting Pack known for offering the hunter with great comfort and functionality. We hope that at the end of this ALPS OutdoorZ 9953110 Extreme Crossfire X Hunting Pack review you would be armed with enough pertinent information about the Crossfire X in order to make your buying decision easier. 1.14.1 Q. Who are the manufacturers of the Crossfire X? 1.14.2 Q. How much does the Crossfire X weigh? 1.14.3 Q. How many cubic inches is the pack? 1.14.4 Q. What colors can I purchase the Crossfire X in? 1.14.5 Q. Is the Crossfire X hydration system compatible? 1.14.6 Q. I am a pretty large person. Will this pack fit me well? 1.14.7 Q. Can the removable pouch accommodate binoculars? The pack has a vented back panel with a mesh net designed in such a manner that it prevents the backpack from directly resting on the back of the wearer, thereby allowing for maximum air flow. This is one of the most useful features of the pack since it not only provides one with a significant amount of ventilation but also prevents one from sweating excessively, thereby enhancing one’s comfort during a hunting expedition. The Crossfire X incorporates well-padded Lycra® shoulder Straps that drastically reduce the pressure from the load being carried in the backpack, thereby providing the wearer with even more comfort. Also, the straps’ soft nature prevents them from rubbing and irritating you as you hike or trek. While these things might seem trivial to the average person, to the avid hunter who often finds him or herself walking for miles after miles in the woods, these things are very important. The Crossfire X’s comes with a waist belt that incorporates a punched molded foam, which offers the wearer an enhanced level of comfort while at the same time effectively distributing the weight of the pack. When it comes to durability, the Crossfire X ranks high in the list of the most durable hunting backs on the market. The Crossfire X gets its strength and durability from the abrasion-resistant 1680D nylon ballistic fabric that the manufacturers used in making it. Thanks to this abrasion-resistant fabric, the pack is capable of withstanding very severe conditions. The pack comes with a removable accessory pocket, which is widely regarded to be its defining feature. This accessory pocket can either be attached to the rear of the backpack or on the pack’s front shoulder straps. In addition to this, the accessory pocket has been designed in such a way that it can be completely detached from the pack and used independently by its own strap. The pack comes equipped with an excellent hydration pocket and port, which means it is perfectly capable of conveniently housing a hydration bladder. This hydration system allows the hunter or hiker to conveniently quench their thirst without having to use their hands to hold a water bottle while on the go. The hydration system is very essential when the weather is hot or when the wearer is engaging in vigorous activities that require regular drinking of water. The pack comes with a rain cover that can easily go over the entire backpack. When in use, the rain cover protects the backpack and your gear from being soaked by water. When not in use, the rain cover can easily be stored in a pocket designated for only it. The pack comes with a dual directional heavy duty frame which works harmoniously with the pack’s padded waist belt and shoulder straps to make carrying heavy load less cumbersome for the wearer. Another prominent feature of the Crossfire X is its bow/gun carrying system, which comes in the form of a drop-down pocket. This drop-down pocket has the capability of securely and conveniently holding most guns and bows all day hands free. The pack comes with compressions straps at the side and bottom. The straps’ primary job is to make the backpack more comfortable to carry. When you do not have enough equipment in the pack to fill it to its full dimensions, the compression straps come in handy by compressing or closing up the extra space in the backpack, thereby making it more comfortable to be carried. Comes with a rain cover that protects both the pack and its contents from water. It has wide and well-padded straps which make the carrying of heavy load easier. It is a very comfortable backpack. Comes with lots of pockets which allows for easy organization and convenience. Zippers have finger rings, which makes opening and closing them easier even while wearing gloves. Despite being small, it has the capacity to hold a lot of gear. The zippers can sometimes be irritatingly loud. Price is a little bit on higher side. Q. Who are the manufacturers of the Crossfire X? A. 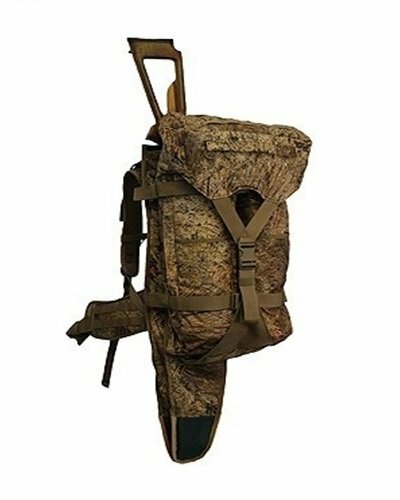 The backpack is manufactured by ALPS OutdoorZ. Q. How much does the Crossfire X weigh? A. The pack has a weight of 4 lbs. 5 oz. Q. How many cubic inches is the pack? Q. What colors can I purchase the Crossfire X in? A. You can purchase the pack in Brushed Realtree Xtra HD. Q. Is the Crossfire X hydration system compatible? A. Yes! It has a good hydration system that enables the wearer to easily drink water while on the go. Q. I am a pretty large person. Will this pack fit me well? A. Because of the highly adjustable nature of the Crossfire X, it is highly likely that regardless of one’s body type, the pack can be adjusted for a decent fit. Q. Can the removable pouch accommodate binoculars? A. Yes the removable accessory pocket is big enough to accommodate binoculars. From the ALPS OutdoorZ 9953110 Extreme Crossfire X Hunting Pack review above, we have clearly seen the Crossfire X is a multi-purpose backpack that comes with pretty much everything you want in a hunting backpack – tough, compact, light, plenty of pockets, rain cover, etc. These features not only provide comfort to the hunter but also provide him or her with the important things needed for a successful hunt. It is also worth noting that in addition to being suitable for hunting, the Crossfire X is also suitable for engaging in other outdoor activities such as hiking, trekking, camping and mountaineering.